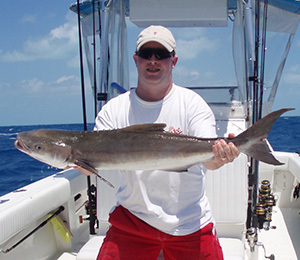 Though many people have never heard of the cobia, it’s prized as a game fish. It also makes for good eating and its flesh is often smoked. It’s the only fish found in its family Rachycentridae. The cobia is a long, slender, torpedo shaped fish whose first dorsal fin has been reduced to eight small spines. It has a broad, flat head, a small eye and an underbite. It's brown above which fades to silver white below and has brown stripes along the sides that stand out when the fish is spawning. It's found off the coast in warm waters though not around the Pacific coast. The fish can grow to up to 150 pounds. The cobia is usually solitary though now and then it will form small schools. It's found around pilings and under wrecks, buoys and flotsam. Cobia prefer other fish and crustaceans and will scavenge from larger fish like sharks and manta rays. Its other names include the prodigal son and the ling, which is probably the name by which most people know it. The cobia is also unusual in that it doesn’t have a swim bladder. 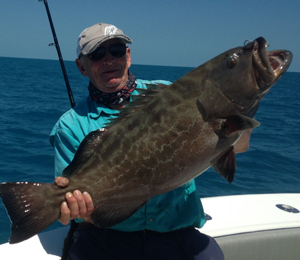 People fish for cobia through bottom fishing with lures or natural bait. The fisherman should use a heavy spinning rod with a 15 to 20 pound mono line and a three foot leader wire with hook sizes from 2/0 to 4/0. 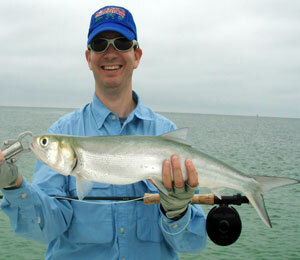 Natural bait for cobia are fish, shrimp and crabs. 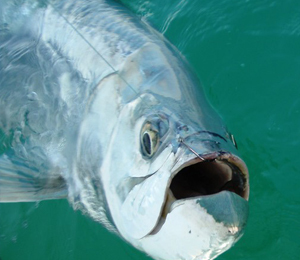 Artificial bait can be large plugs with silvery or bright blue finishing or jig lures with gold or white skirts work best in Key West.